BRIGHTON, Mich - MyKey is a helpful tool known for encouraging safe driving habits amongst teen drivers who are headed out on the road. So useful in fact that it is becoming an attractive feature for fleet owners. Ford MyKey Promotes Safe Driving in Fleet Vehicles, by helping drivers remain alert and aware of their surroundings when on the job. Joe Dougherty, president of Kentucky-based Louisville Paving Company, finds that the MyKey helps with his worker's concentration when they are on busy, loud construction sites. Dougherty has 30 company vehicles equipped with MyKey, allowing the owners to program a key limiting a vehicle's top speed and audio volume and encouraging wearing their seat belt. The MyKey technology also prevents phone usage when on the job, routing all incoming calls straight to voicemail on paired phones. For Dougherty, and many other companies where there is potential for high-risk safety situations, Ford MyKey brings another level of safety and security to employees. Distractions from the radio, phone calls or text messages are no longer an issue when an employee is on the job with the MyKey feature. Many companies with fleet vehicles do have safe driving guidelines, however, Ford MyKey is the perfect addition to reinforce those basic rules. 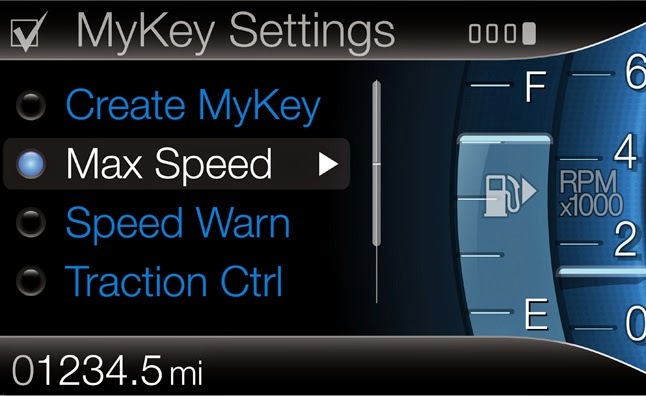 Some of the features and settings available on the MyKey are: limit vehicle top speed to 80 mph or lower, issue a warning when the vehicle is at or within 5 mph of reaching the preset maximum speed, limit vehicle's entertainment system audio to 45 percent of maximum volume, sound a chime and mute the audio system until safety belts are buckled, route incoming calls to voicemail and issue a low-fuel warning when the fuel tank is one-eighth full. Ford MyKey Promotes Safe Driving in Fleet Vehicles and will help ensure workers are as safe as possible when driving on the job. If you're looking to utilize the MyKey feature yourself or for your new driver, visit us at Brighton Ford! You can find a variety of vehicles on our lot with the MyKey ability to keep yourself or your new driver safe when behind the wheel. Check out our inventory online and then stop by for a test-drive! Brighton Ford is located at 8240 Grand River Ave. just north of I-96 in Brighton. We are a family owned and operated business that strives for customer satisfaction. For more information on Brighton Ford visit BrightonFord.com or give us a call at (800) 836-8206.